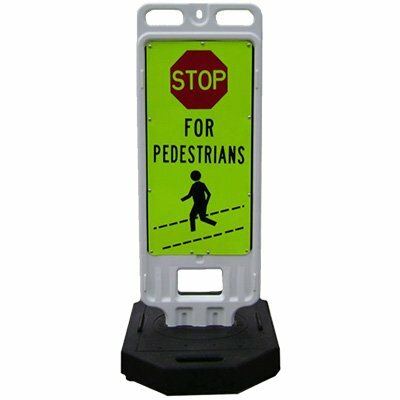 What are the key features of this In-Street Crosswalk sign? 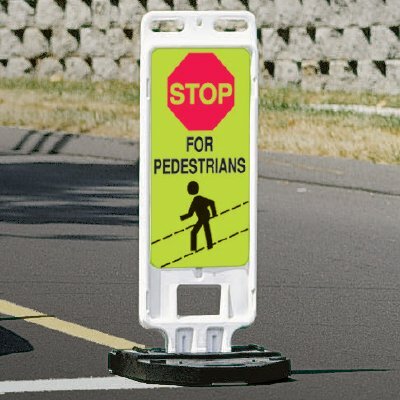 This Diamond Grade reflective sign provides the best available visibility for unsignalized intersections, up to 1,500 feet at night or in overcast conditions. Built-in handles provide easy portability. Overall height of unit is 40". Great solution for private parking lots. If you need further assistance, please call 1-800-972-7716 and one of our product experts will guide you to the right solution. Sign reads "Stop for Pedestrians"